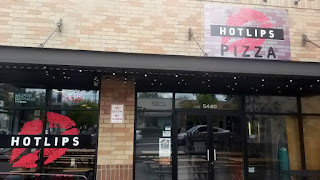 I went to HOTLIPS last year as well for Portland Pizza Week and enjoyed their $2 slice from the Hawthorne location. 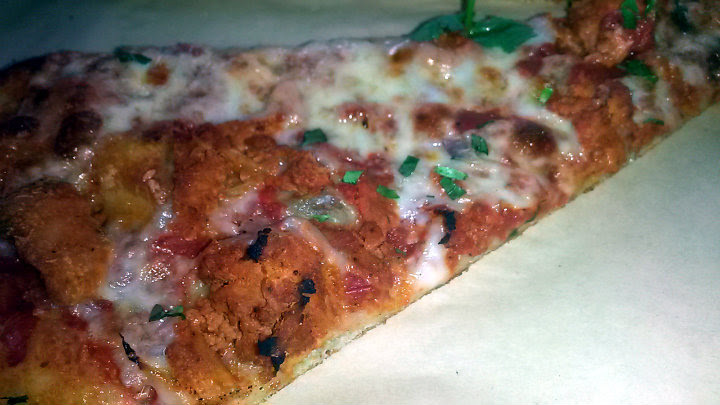 New location, new year, bring a couple friends, go pizza noshing again. 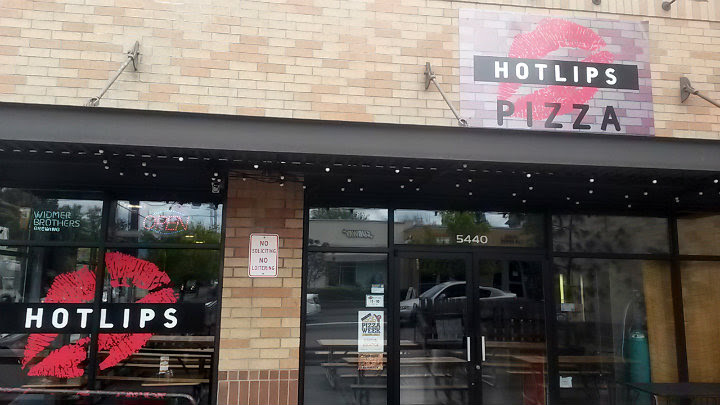 All HOTLIPS locations featured the $2 Portland Pizza Week slice this year, an Al Pastor pizza. Mexican-style marinated pork loin, pineapple, onion, cheese, and cilantro on a tomato base. The slices are reheated and brought to our table in about 2-3 minutes. 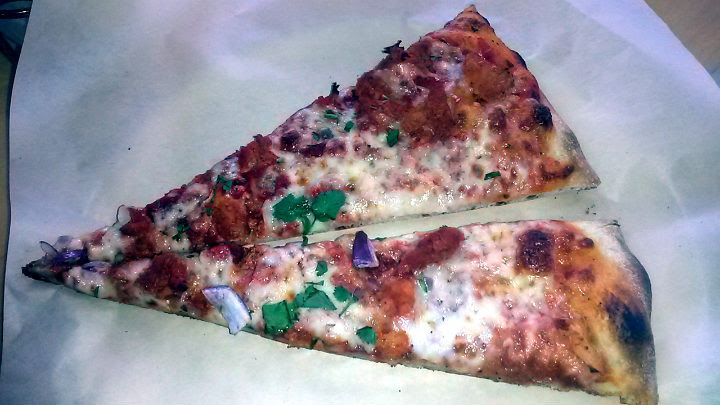 This slice had good flavor, with qualities of a taco pizza. Excellent crispy crust. The pork was slightly dry on mine, but otherwise solid overall. 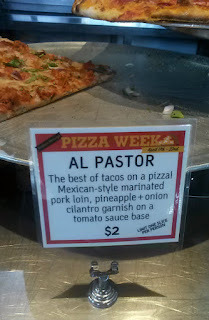 To save room for more Portland Pizza Week noshing, I split an Al Pastor slice with a friend; otherwise the size is the same as last year's. 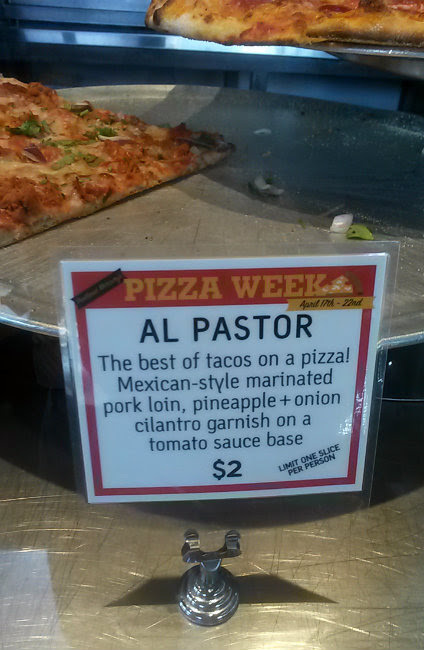 I prefer last year's "Glazed and Confused" slice over the Al Pastor. The Glazed and Confused featured more toppings and a more original slice, especially when marinating the chicken in your own soda.